where every song delights you, and everyone! There’s bright coloured birds, maybe one, maybe two. This isn’t just Seuss, it’s Seussical! 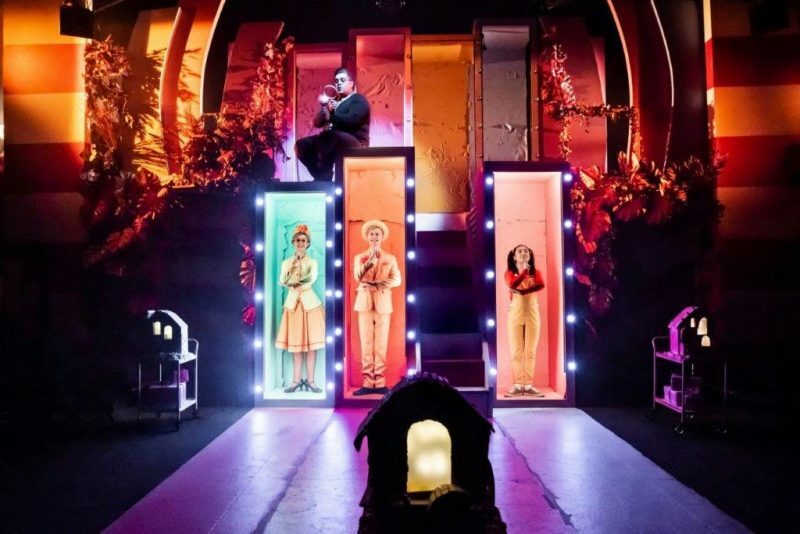 All of the stories, that’s right in a musical! Well, to be honest with you, that’s as far as I could go with the rhyming stuff, but who was I trying to kid anyway? You can’t compete with Dr Seuss! 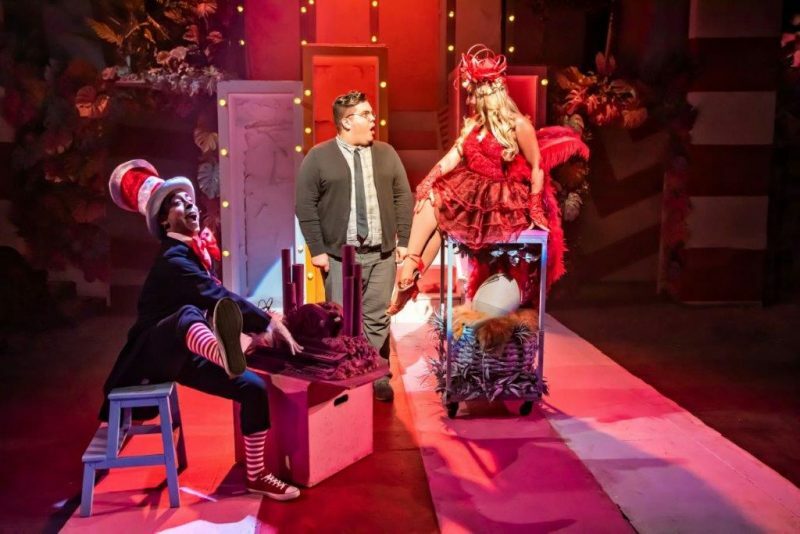 Stephen Flaherty and Lynn Ahrens’ Seussical The Musical, co-conceived by Eric Idle, takes all those sounds, words and imagery that are so intrinsically linked to Seuss, and throws them together in a cavalcade of charming jubilation. Presented by Immersion Theatre and directed by James Tobias, Seussical blends different Dr. Seuss stories together. Jojo, the smallest of the Who’s, is having lots of outlandish thinks, the mischievous Cat in The Hat is getting her in to trouble with her parents, The Mayor and his wife. Horton the Elephant finds the Who’s living on a speck of a dust inside a clover, but gets bullied because no-one else can hear them, he’s so busy worrying about his new friends he doesn’t even notice Gertrud McFuzz and her impressive new tail. For children (and maybe even some adults) it’s a fantastic introduction to the world of Dr. Seuss. 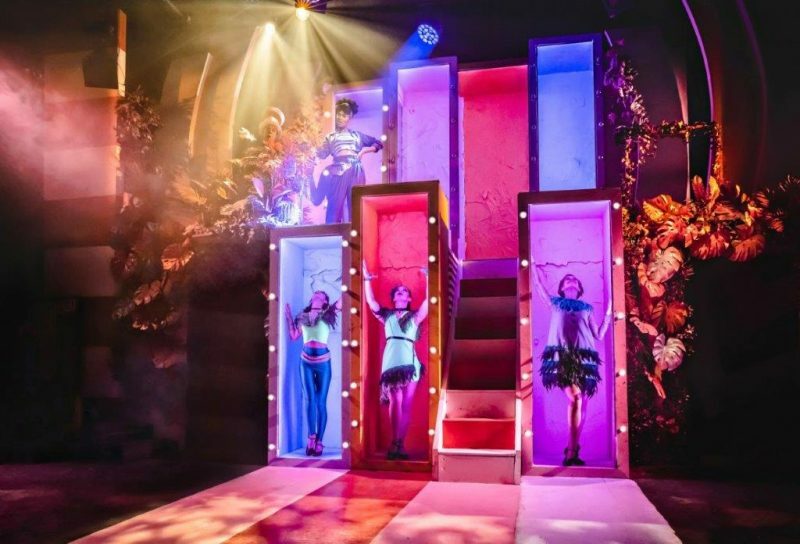 The score is generally upbeat and whimsical, with plenty of toe-tapping numbers to draw you in, ‘Oh, The Thinks You Can Think!’ and ‘It’s Possible’ among the many buoyant numbers which also feel inspirational in tone. The odd ballad which pops up could melt the hardest of hearts, ‘Alone in The Universe’ and ‘Solla Solew’ a joy to hear. Yes, it’s all a bit predictable, but it feels familiar and safe, and sometimes that’s what a musical needs to be. 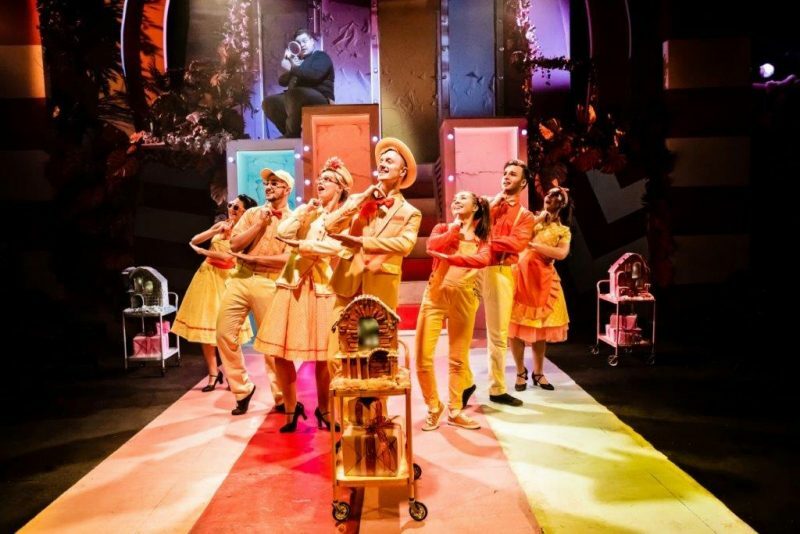 Justin Williams and Jonny Rust’s bright, and colourful set provides a brilliant backdrop to the fast paced and bold choreography from Chris Whittaker, which perfectly captures the feeling of Seussical. Despite the audience being wrapped around the stage, Whittaker makes it feel like the world of Seuss is dancing around you. 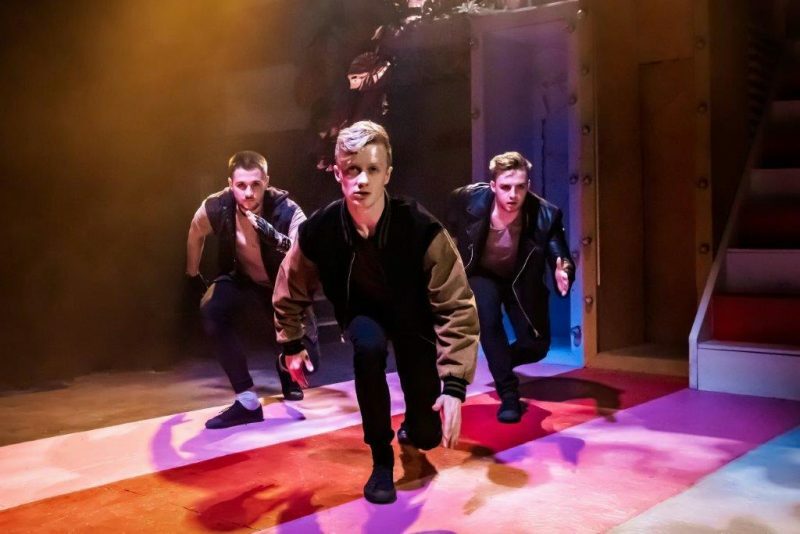 The whole cast are outstanding, and special mention should go to the ensemble who work incredibly hard throughout the seventy-five-minute running time. It’s a sensational professional debut from Anna Barnes as Jojo, and Amy Perry’s Gertrude McFuzz is just delightful. 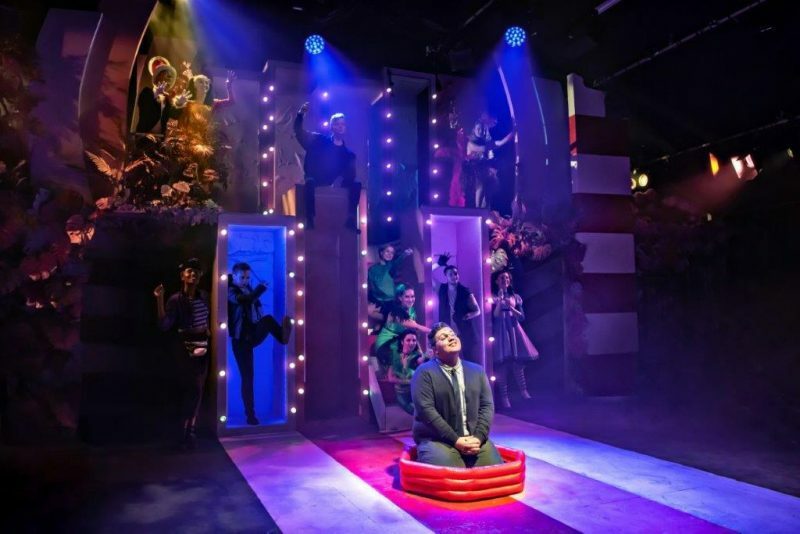 Marc Pickering shows again his versatility, particularly in these comic type roles, his Cat in the Hat is cheeky and charming, enchanting the audience at every turn. Scott Paige is nothing short of brilliant as Horton, a very talented performer on every level. It was absolutely the right decision not to dress him up in an over the top elephant costume, because Paige has the ability to convey all kinds of emotion with a simple look or mannerism. 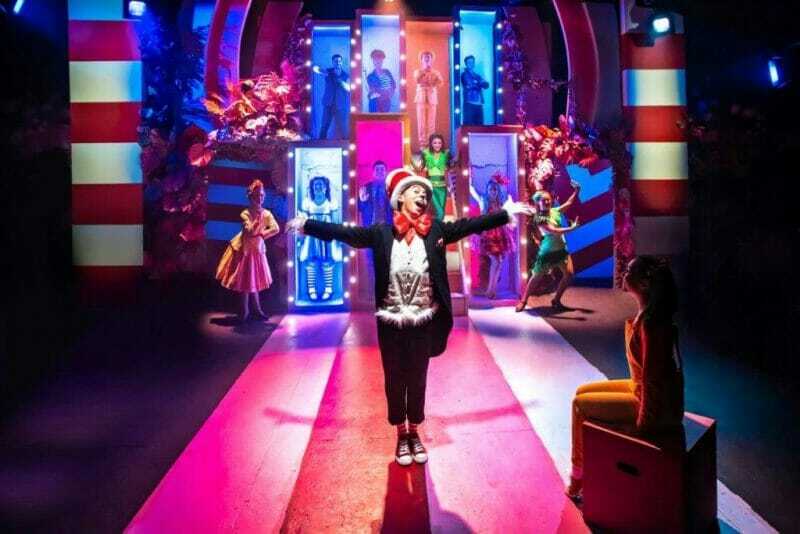 For children especially, the stylising of Horton will help them identify with the positive messages promoted by the show. This really is a perfect treat for the whole family, because there’s something that can appeal to everyone. 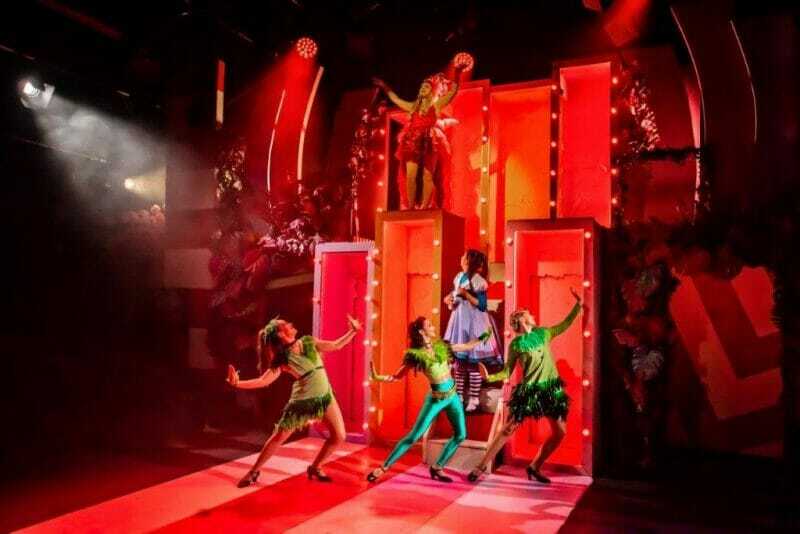 Younger children will be mesmerised by the bright colours, catchy tunes and funny costumes, while the themes of bullying, body shaming and general morals will resonate with everyone. 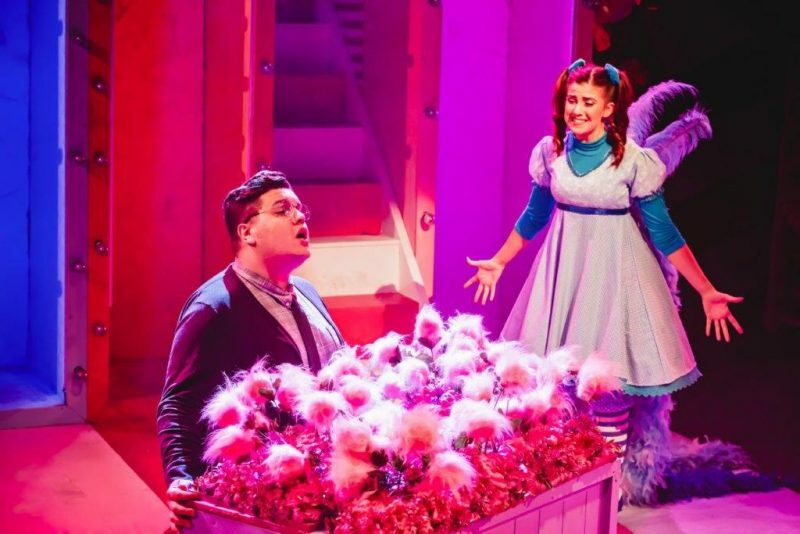 In truth, Seussical is pure escapism and by golly, don’t we all need some of that! So over the top, it’s the wonderful Seussical!